It wouldn’t be a true Alaska summer without what some locals joking call its state bird—the mosquito. And as pesky as these tiny insects are, they’re an extremely important part of the state’s ecosystem. In the tundra, mosquitoes are particularly critical. Scientists say that without mosquitoes to feed on, populations of birds could decrease by 50 percent. Mosquitoes influence caribou migration as they move in herds toward the wind to avoid the insects. They also contribute to higher water quality when the larvae feed on organic matter in mosquito breeding grounds. Harmless or not, no one enjoys a mosquito bite. 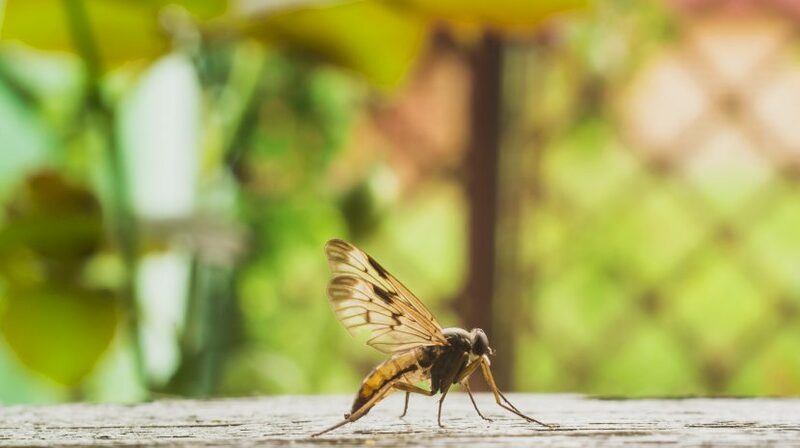 Alaska locals have plenty of tips and tricks to keep the bugs at bay; some even employ their own bug spray concoctions that they swear by. A few tried-and-true efforts are bug sprays, citronella candles or special citronella fuel for tiki torches set out and about. A windy day will do a great job at keeping the mosquitoes away, as will plugging in an outdoor-safe fan to gently blow them away from wherever you’re sitting. A fire is always helpful since mosquitoes don’t enjoy smoke, and when all else fails, long-sleeved shirts and long pants are key. Mosquitoes have been top of mind in recent months with the connection to widespread Zika virus outbreaks. However, this need not be a concern while visiting Alaska because neither of the two species known to transmit the disease lives in the state. So next time you’re applying the bug spray, remember that although they’re pests, mosquitoes help contribute to the wonderful ecosystem that makes the Land of the Midnight Sun our favorite place of all.